Adelaide based VW Bars is a mobile bar and drink service company that offers tailored wine, beer, spirit and cocktail catering served from inside custom VW Kombi vans. Obtaining the first ever mobile bar license in Adelaide, the VW Bars family has evolved to include funky, portable bars (Glo Bars) that glow in the dark and a cocktail making class. Our quirky, converted kombis will create the ultimate feature for your event and our flexible beverage packages can be tailored to suit any function of any size. 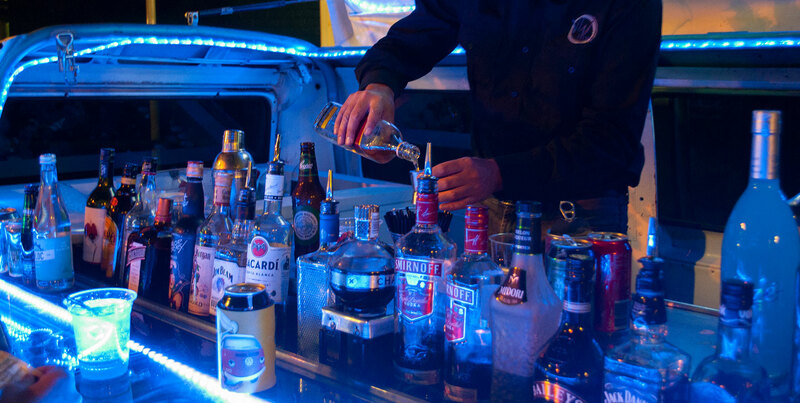 If your space can’t accommodate a kombi bar, talk to us about our portable Glo Bars! Any drink catering your party needs we can arrange. Customize everything from the menu to the number of staff. Our services include all liquor licences to host your party and if they don’t we can help you sort out what’s needed. Our bartenders are super stars that provide fast and friendly service along with cocktail expertise. Our team will arrive early and pack up late so you always get the full time you’ve paid for.